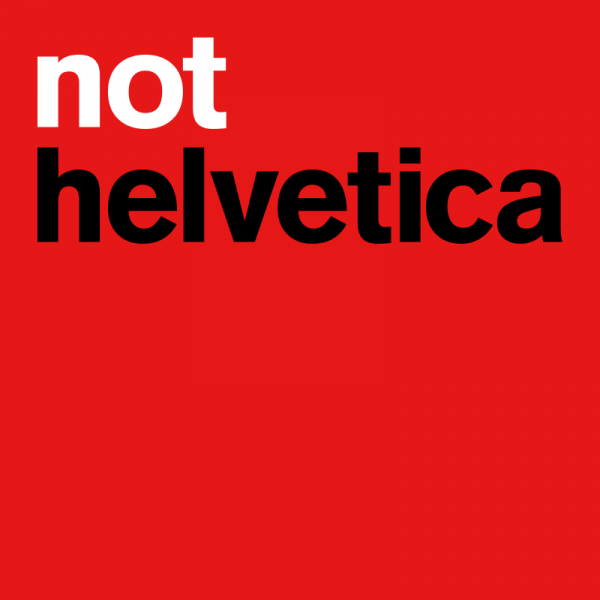 For a short period, when I started attempting to design websites, I loved Helvetica. I had no graphic design knowledge but I just thought the font looked… cool. I liked the fact that it came installed on my Mac but didn’t on a PC. Helvetica for us designers with our fancy Apple computers and plain old Arial for everyone else. As my interest in typography grew, I decided to stop liking the font. I saw it everywhere and I wanted to be different. Helvetica was for amateurs—I was a designer now and I thought I knew better. Today, I’m rather more indifferent—I’m as neutral as the typeface itself. I understand the font’s place in history and I agree that it can work beautifully, but I still just don’t use it in my design work. Helvetica wasn’t designed for long form text. It was designed to be used on posters and signage and the like, hence why it looks so damn good on the New York underground (although it wasn’t the original choice). Sans-serifs like Helvetica just don’t have enough variation in their letter shapes to make for a really nice reading experience. Helvetica was developed in 1957. Usage on-screen in user-interfaces was not a design consideration then, so why insist on using it in that way? Helvetica looks at its best when set big and bold, on a no-nonsense poster. But even if I really wanted a minimal, neutral look like that, I wouldn’t use Helvetica. I’d try Akzidenz Grotesk, which was the original favourite of the Swiss Style pioneers and is the typeface that Helvetica was largely based upon. It’s twice as old as Helvetica which obviously makes it twice as cool. Or maybe I’d use Neue Haas Grotesk, which bears Helvetica’s original name and is intended to be far closer to its original 1957 design than modern digitised interpretations. It just looks a bit nicer. If I was really getting my type-nerd on I might use Aktiv Grotesk from Dalton Maag or the newly released Neue Haus Unica—a font that combines the best bits of Univers and Helvetica. I doubt I could tell them apart but I’d feel all smug knowing I’d use a more-refined modern alternative. A designer’s view of Helvetica will largely be determined by their overall view of typography as a medium of communication. Design greats such as Massimo Vignelli and Wim Crouwel believed that typography should be neutral and that the content should speak far louder than the type choice. But they worked in a different time. There were far fewer good quality fonts. Today we have hundreds if not thousands (and plenty of terrible ones too!). It’s an exciting time for typography. I like the fact that a careful choice of typeface has the power to imbue a meaning as important as the words themselves. Typography is the written equivalent of vocal and facial expression. And I prefer strong statements and opinions over a neutral Helvetica world any day. I was inspired to write this post after finally watching the movie Helvetica. Yeah, I know right, that’s so 2007. But watch it if you haven’t already, it’s really good.